All is not what it seems, Wonder Woman armed with her lasso's power is able to reach out to the creatures and what appears to be possession is actually a formation of teamwork. The traveller believes he is preventing a viral invasion while Diana believes he is trying to cause a massacre. Batman and Vic manage to get into an escape pod and with its independent power hope to reboot Cyborg, while Superman tries his best to slow the Watchtower's descent to Earth. 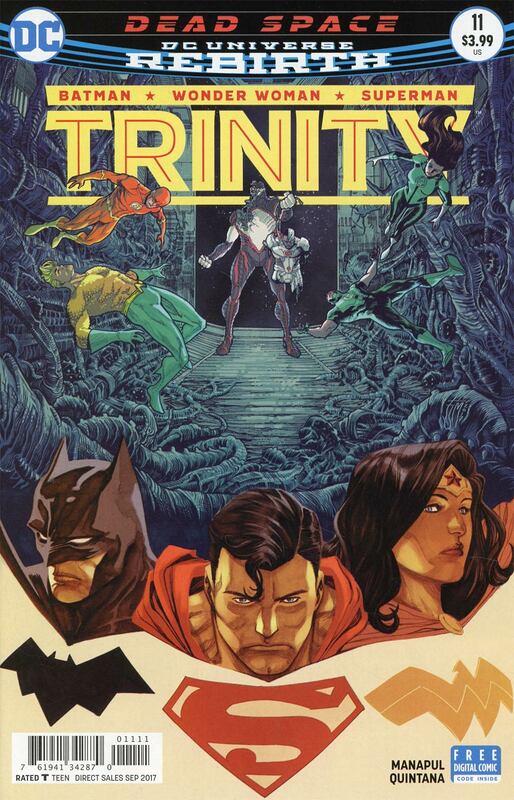 The entire might of the Justice League is needed to stop the Watchtower crashing into Dubai, but what will become of the Traveller and the creatures known as The Perfect? Story - 4: An uplifting League story with no pun intended on Superman's behalf. In many ways it reminds me of an episode of Justice League Action, the only negative is that the build-up was over two issues and the resolution over so fast you aren't even sure what happened to The Traveller nor what will become of the Watchtower or even the White Mercy's involvement. There needn't have been padded storyline, just a few throwaway lines to tie up the loose ends. Art - 4: Manapul really pulls out all the stops with his energetic art and audacious layouts. 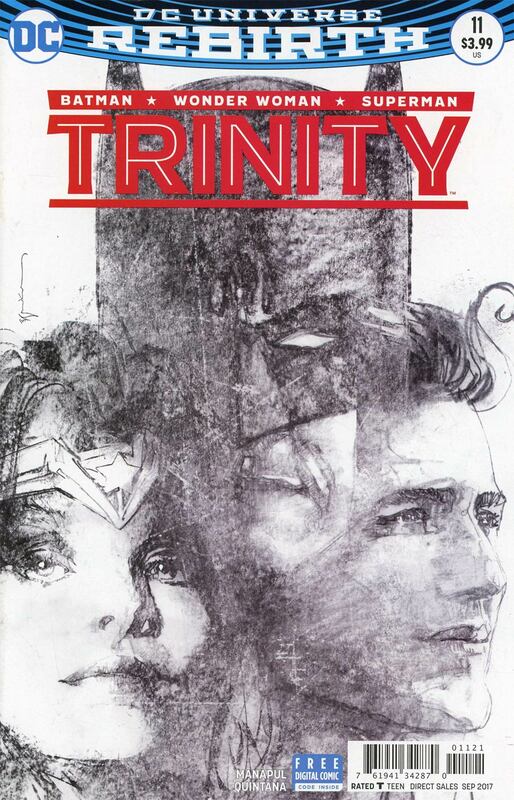 The Trinity has never looked so good, however therein lies another fault, the concentration to deliver a feast for the eyes meant they didn't help keep the narrative tight. As mentioned with the throwaway lines, just an extra panel here or there to tighten things up a little would have helped strengthen the story. Cover Art - 5: A great montage cover, perhaps giving The Traveller more credit than he's due? I'm still loving the H.R. Giger influences here. There is a flavor of pop art to this cover that gives it a certain charm that makes it a draw to the eye. Manapul is certainly gifted with his visual skill. Variant Cover Art - 3: You either love him or hate him, right? I have a rollercoaster-esque relationship with these variant covers. Sometimes they are perfect and sometimes they are a bit too abstract. So here we have a sort of charcoal on sugar paper style piece. It is an iconic visual, really stunning... but as a cover, I still don't feel I like it enough. I'm not sure why, but I guess I like a cover to be related to the story inside. That is just personal taste so I'm keen to hear your thoughts folks!